Thanks to Helen for hosting EMV; again it is so hard to believe it is the end of November already. 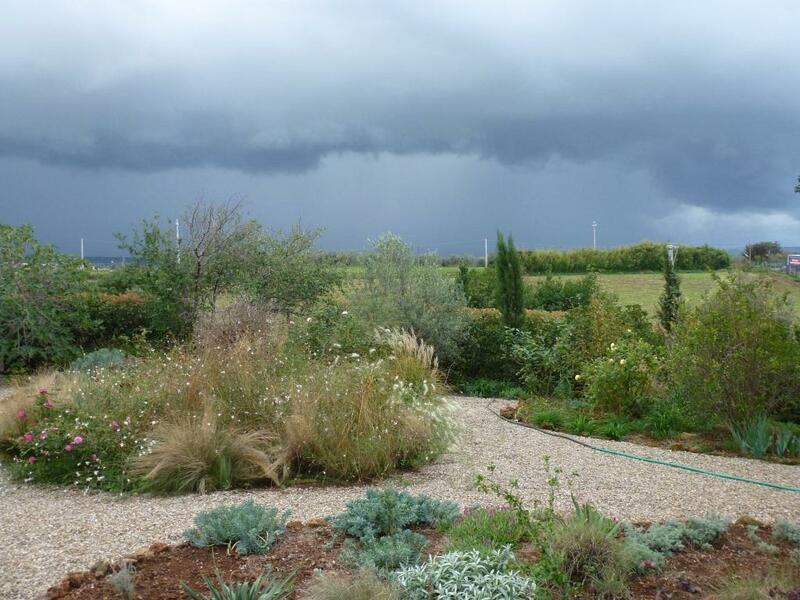 November has been the perfect month for a gardener; many days of warm sunshine interspersed with life sustaining rain. Today (Wednesday) isn’t nice, heavy rain is falling, there is thunder and lightning which means that the internet is intermittent and it looks black outside, so not a gardening day today! Not very much has changed in the garden since last EMV except that the walnuts trees have now lost all their leaves and the Mulberry will have done so after the strong winds today and tomorrow. I have planted garlic (last week) and all the bulbs, except for 25 tulips, are all safely in the ground. I have been tidying the beds, weeding and planting. 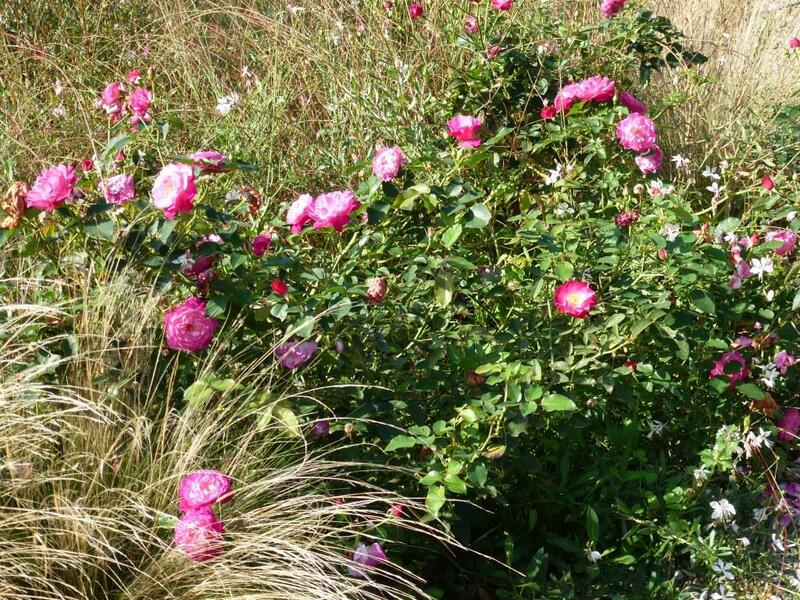 The smallest bed, the circular rose bed needed the most attention. Gaura lindheimeri self-seeds profusely in this bed and I hadn’t cleared all last year’s seedlings which had grown so large they were swamping the roses; my plans to do a Chelsea chop didn’t happen so many plants were approaching 1.7 metres. I potted up lots of smaller plants that should make good plants to swap and some with larger roots (almost rhizomes) I transplanted onto the slope where many of the existing plants had perished in the drought. Gaura remains in the spaces between each variety of rose. I also removed 3 large buckets of material to the compost heap. 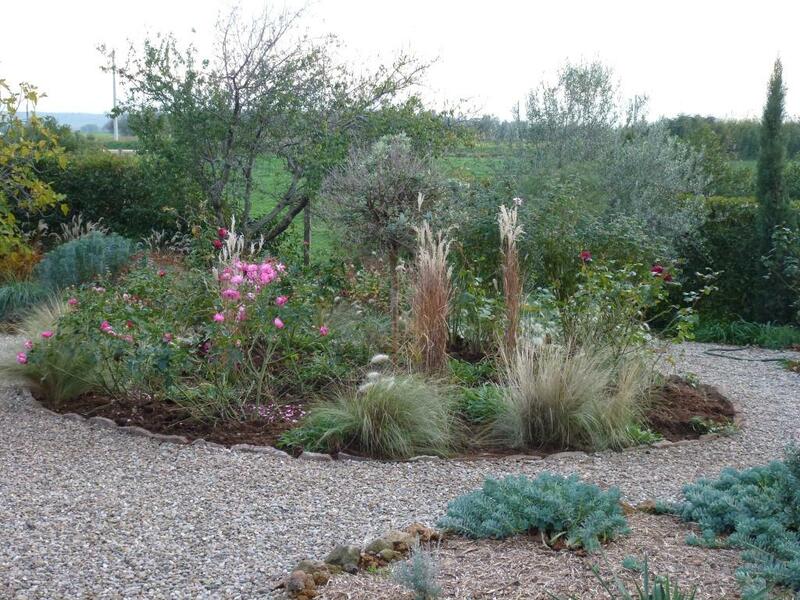 I then decided to define the quadrants of roses more by planting Miscanthus Gracillimus midway to the centre of the circle between each type of rose and position a Pennisetum villosum in front of the Miscanthus. 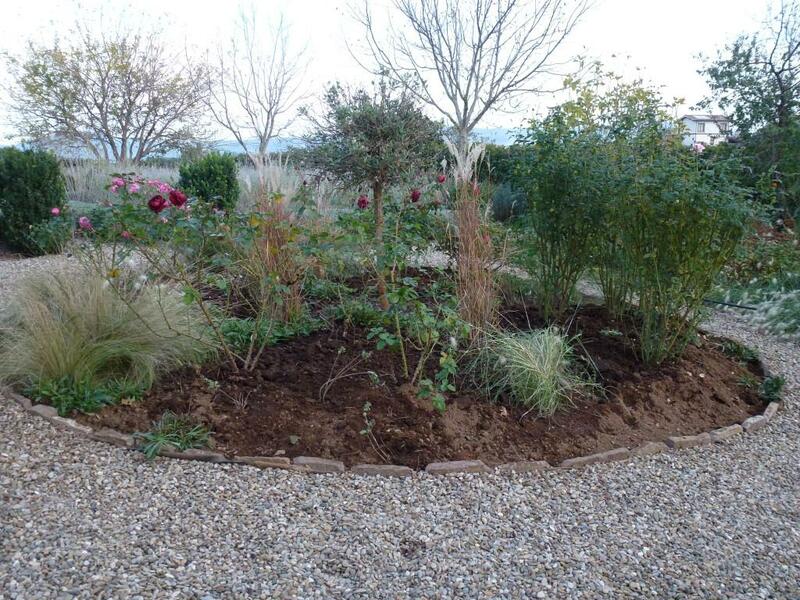 There were already 2 Miscanthus and one huge Pennisetum in the bed. I was able to divide one of the Miscanthus into 3 which gave me the required four; the Pennisetum is a bit of a thug, it spreads very freely so it was easy to divide it into four large pieces plus a dozen or so smaller sections that I planted onto the slope, replacing some Stipa tenuissima what had more dead material than green. I think the Pennisetum will act well to hold the soil on the slope and they also make better ground cover and weed suppressant than the Stipa. Pennisetum villosum is drought tolerant in my garden and although it isn’t very pretty in mid-winter it soon puts on new growth in spring and then seems to flower until the first frosts. 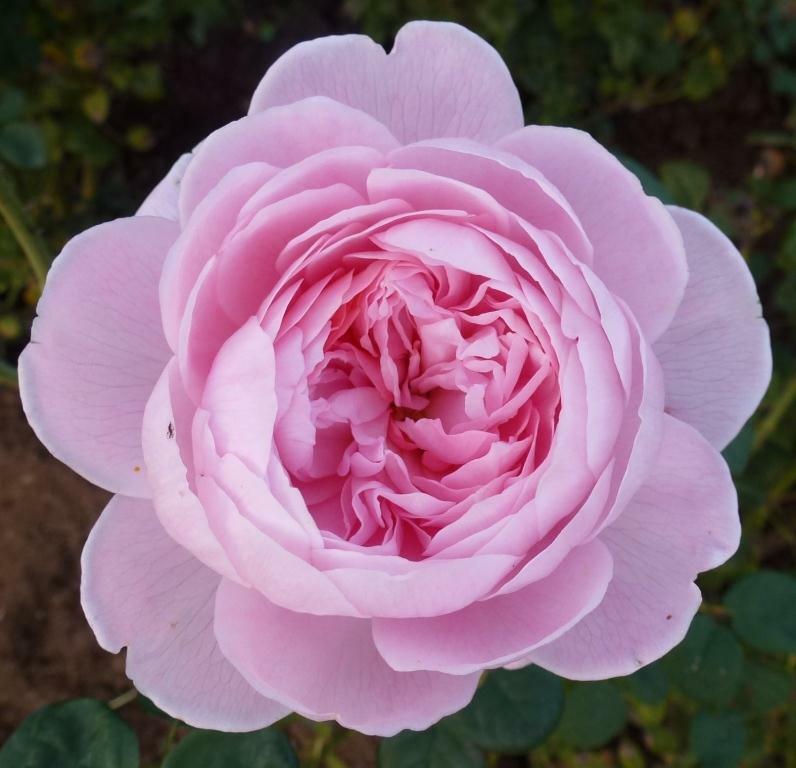 The circular rose bed is (or was) the same dimension as the circular void in the middle of the formal garden and it forms the link between the formal front beds and the much more relaxed island beds. Using a void and a positive space isn’t really to be strongly recommended because in fact you can’t SEE that they are the same, but it does give some rhythm so in this case it works. The edge of this border has never been strongly defined before so I decided to use some crazy paving that had been on the front of the house (no, don’t ask why!) to sink into the ground to delineate the shape better. 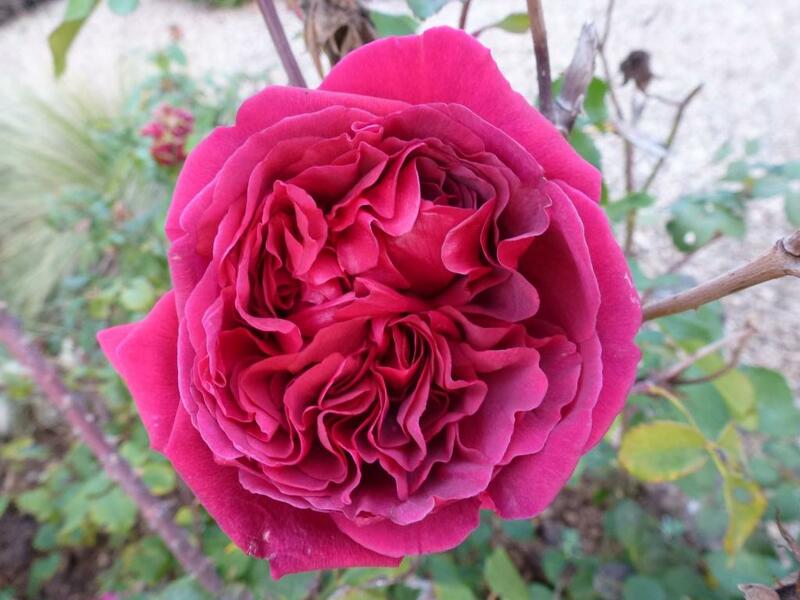 Here are the roses that are still flowering in the bed this month. 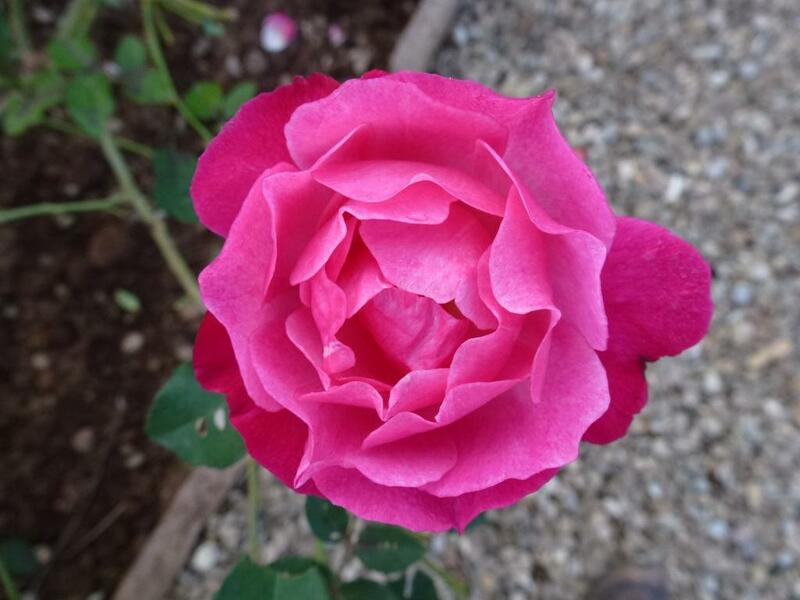 Rosa ‘Tradescant’ also has a couple of flowers but I didn’t take a photo on the 24th November when I photographed the above. 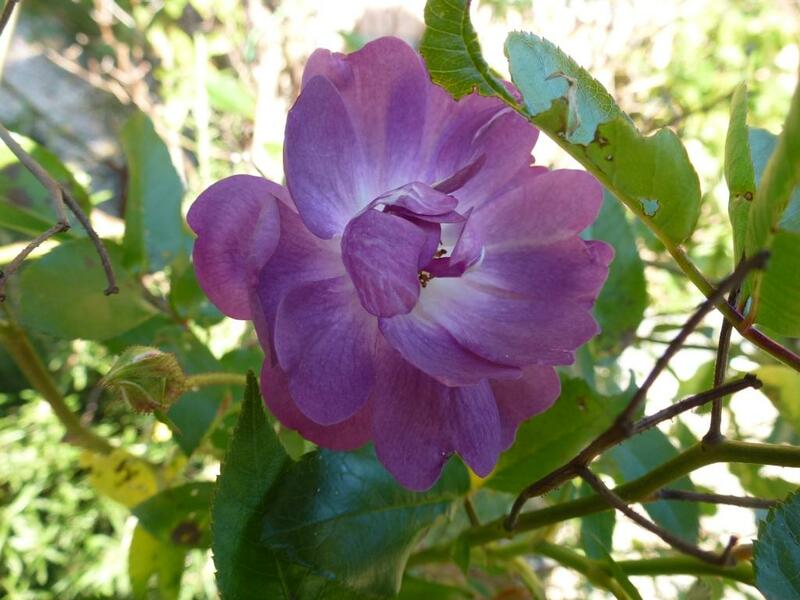 Even my favourite rose ‘Veilchenblau’, which usually only flowers in early summer has put on a few flowers to charm me.